Mozambique is a uniquely beautiful country, situated along Africa’s southern Indian Ocean coast. It’s noted for its scuba and fishing, and is an excellent vacation spot for anyone want to experience the beauty of Africa. Although there are thousands of great ways to spend your vacation in Mozambique, here are six that we think are particularly outstanding. Enjoy the list, and more importantly, enjoy Mozambique! This island off of Mozambique’s coast is the perfect getaway for anyone looking to relax, and escape the technology and busy schedule of modern life. There’s a lighthouse, and a local village with some great souvenirs, but most importantly, there’s tons of gorgeous white beach. When you’ve had your fill of relaxing on the beach, and chatting with the locals, there’s even the Marine Biology Museum so that you can learn more about the local area. If you go to Mozambique, you have to check out Inhaca Island. Encompassing 6 islands that make up an archipelago, and protecting the habitat of the dugong and marine turtles, this national park is a must see for nature lovers. There’s plenty to do when you’re visiting, as the national park boasts resorts, tours, fishing and more. You can interact with local fisherman, enjoy world-class dining and more. If you’re looking for a place to take your family to experience the beauty of Mozambique, Bazaruto National Park is it. Mozambique’s capital city, Maputo, has many amazing dining choices. Well-loved restaurants like Zambi and Sagres make up a big portion of the local eating culture, but there are tons of options. Whether you’re feeling adventurous and wanting to try a hole in the wall restaurant, or you want something more elegant, Maputo likely has everything you’re looking for and more. Foodies will not be disappointed. Most people think of safaris when they imagine their African vacation, and Mozambique has them in spades. From Gorongosa National Park to the Indian Ocean, there are tons of companies that arrange safaris for adventure seeking travelers. Mozambique is notable for having what safari lovers refer to as the Big Five: lions, elephants, leopards, buffalos and rhinos. Another key feature that makes Mozambique safaris unique is the landscape. Your safari can cover mountains, oceans or plains, so if there’s even a chance you might want to do a safari, Mozambique is the place! The diving culture is big in Mozambique, and scuba enthusiasts are thrilled to find that the country is home to the whale shark, which is the largest fish in the world. If you’re visiting Tofo Bay, the local scuba hotspot, you’ll also be thrilled to find manta rays and schools of fish that can easily be seen in the amazingly clear water. The historic town of Angoche was founded in the 15th century as a Muslim trading post. Since then, it has grown to a modern town, full of historic sites and unique culture. Make sure to hit up the city center while you’re there, to meet some locals, and try the cuisine. 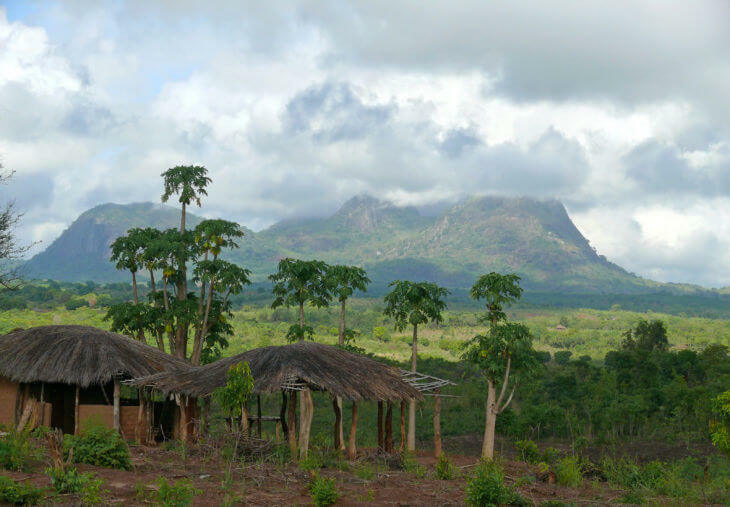 A lot of Mozambique’s unique culture is encapsulated in Angoche, and for tourists looking for an adventure, Angoche is a great place to start. We love Mozambique, and we know you will too. Anyone looking for all that Africa has to offer will be happy in Mozambique. Safaris, world-class food, great locals and weather that would make Hawaii blush are only part of the appeal. Check out Mozambique to see what’s there for you.